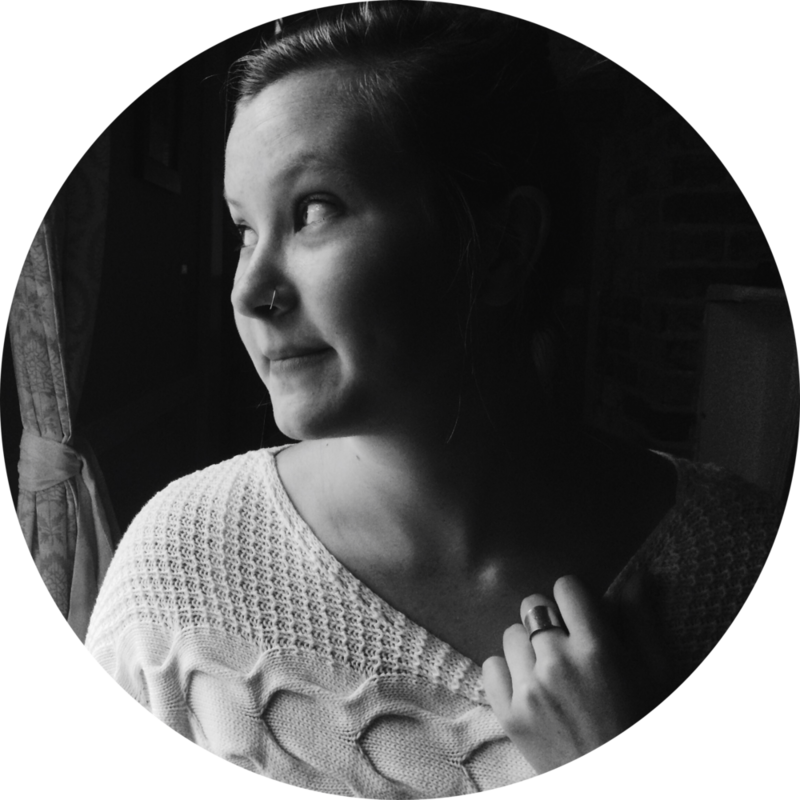 By some great happenstance, I met Adria at a business workshop in Columbus, Ohio. 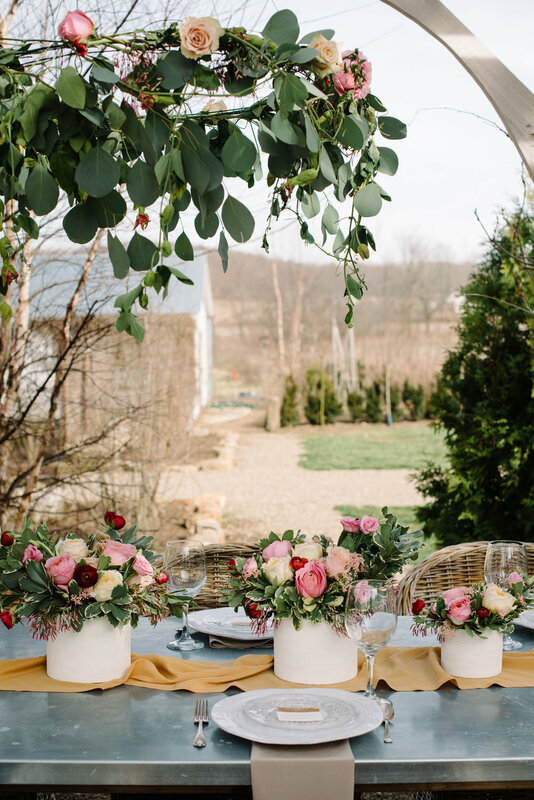 Little did I realize, at that moment, how talented she and her business partner Jamie are, not only with creating gorgeous floral arrangements but also bring people together. 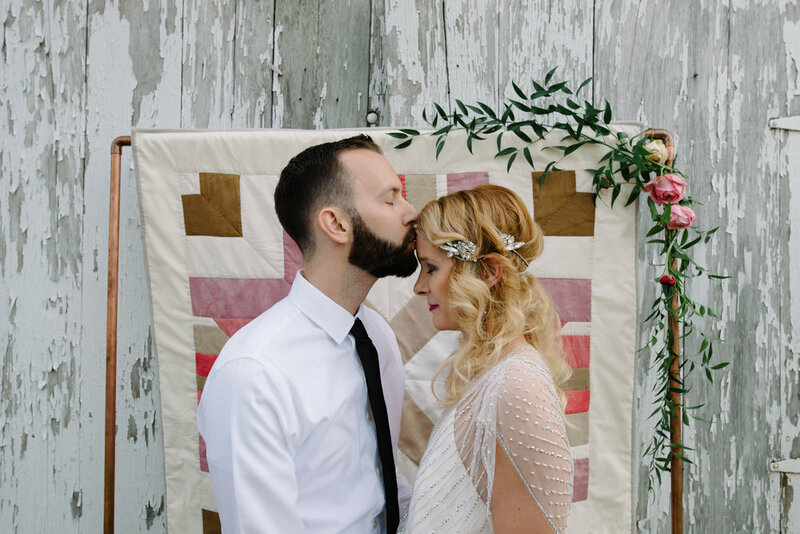 Adria and Jamie coordinated a stunning collection of vendors for this styled photo shoot and I felt completely honored to be included in the bunch. (Check out their stunning work at State and Arrow). 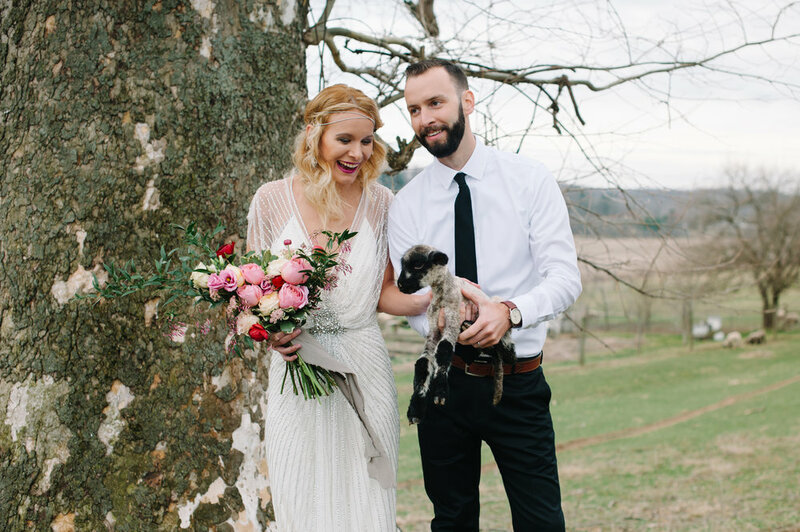 We all met at this absolutely quaint working sheep farm and event venue called Warwick Farms. There were sheep born THE VERY MORNING that we were there! 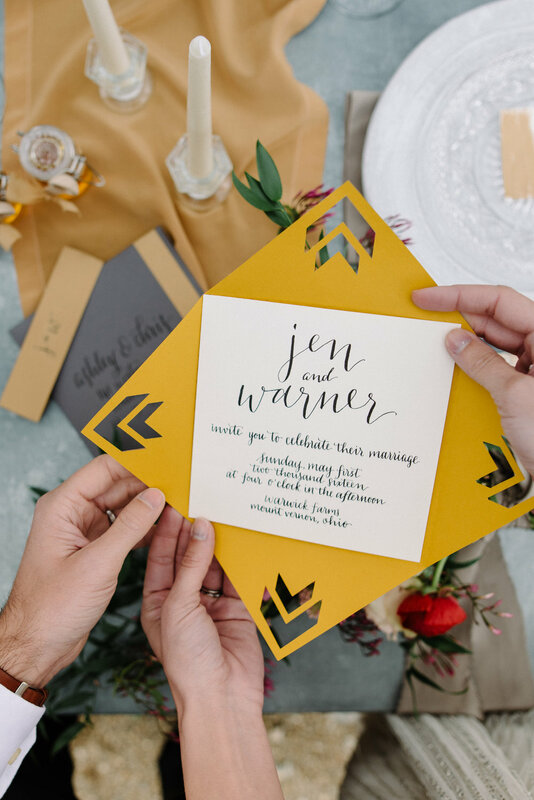 Just look at how stunning the handwritten place cards are by Inkwell & Co! It was such a dream to work with all of these wonderfully talented people and to be surrounded by so many precious little sheep! Kate, one of our awesome models, brought a pair of heels to go with the gown but wore these LL Bean boots while walking around the farm. We all actually loved the look so much that we decided to keep the boots paired with the unbelievably stunning Jenny Packham dress from Luxeredux Bridal.